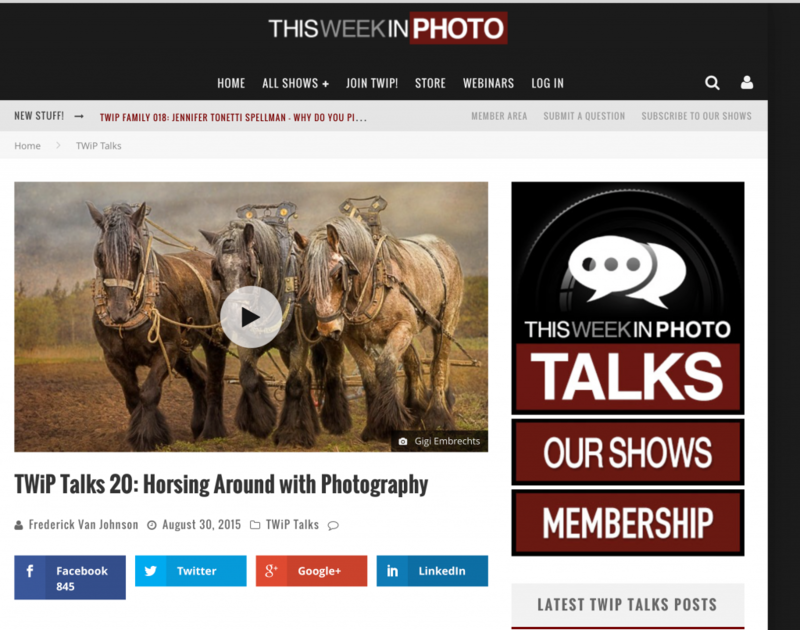 Recently Peter and I had the great opportunity to be interviewed by Frederick Van Johnson of TWIP (This Week in Photo) on of the most popular podcasts networks in photography. 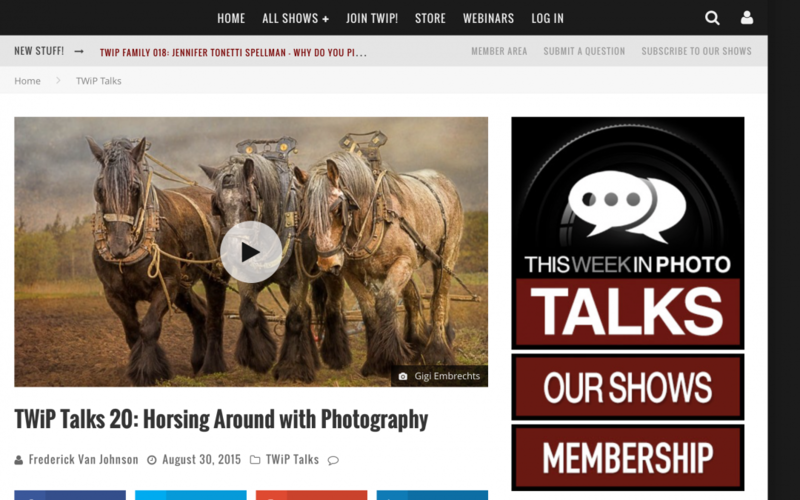 It was such a great opportunity not only for us as photographers, but also to help us get the word out about this podcast , The Equine Photographers Podcast. I have been a big fan and follower of Frederick Van Johnson for serveral years. I have been following his progress as a photographer, marketing expert, and now as a podcast interviewer and owner of the TWIP network. Some time back, I wrote to him when I needed help with a specific matter and he was kind enough to responded to my inquiries. It is rare for someone as busy as Frederick to take the time to answer a specific question and I have always appreciated him for that. It was a natural move for me to reach out again a few months ago to let him know how he had inspired us to start what is now this podcast The Equine Photographers Podcast. 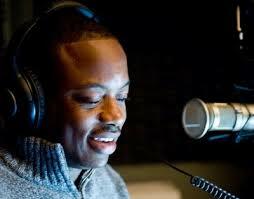 I told him in the email that it was our dream to build a podcast of the quality of the podcasts he has on his network and to thank him for the inspiration he has given me particularly in the past. To my surprise he emailed me and said “let’s talk about this” I was over the moon to have an opportunity to talk to someone I have admired for so many years. We set up a time to talk one after noon and I thought the conversation would be more about podcasting but the conversation moved to him asking me questions about equine photography. He had little experience with horses and had not idea that it was genre of photography, equine photography. As the conversation continued he then proceeded to say how interesting this all was and that he felt that maybe his audience would also be interested in learning more about equine photography. I told him about our soon to be launced podcast and he said we can also talk about that in the interview. So I contacted Peter about the big news soon after we had a date set for the interview. After the interview was over Peter and I agreed that we should try to interview our guests in the same way by making it a conversation rather than just asking specific questions from a list. We are doing just that, and it seems our guest feel comfortable and even so when we dig down into some of their information about how they run their business. Now I understand why Frederick is such a great interviewer and has built such a popular photography podcast network. It just feels like you are listening to friends talking about photography. I highly recommend listening to his array of the different podcasts in his network. I know I don’t miss an episode. I listen to all the podcasts even though I may do not do the type of photography they are talking about because I always come away with something useful to use in my photography or business. Peter and I are so glad you have come to our website and are listening to our podcast but we also recommend that you go over to This Week in Photo network to listen to some of the other podcast that are available about photography. In this ever changing industry you can always use a little help along the way. I believe that Frederick realized this and also why Peter and I have decided to bring this podcast to life.